Kapamilya star Vhong Navarro is back on the big screen with his new movie with Solenn Heussaff "Da Possessed" a horror comedy film from Star Cinema. Watch the full length trailer below which was released by Star Cinema Online. Catch it in cinemas nationwide starting April 19. 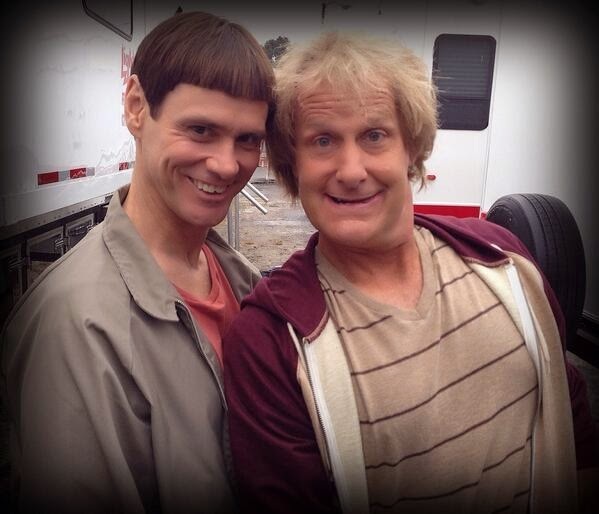 After watching the "Da Possessed" trailer, I couldn't help myself but remember Jim Carrey's character in his upcoming comedy film titled "Dumb and Dumber To" which is to come out in November of this year. See image below.